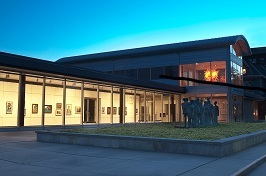 Kalamazoo Institute of Arts (KIA) unites a visual arts museum with a respected community art school. KIA is the leading cultural institution in a city known for its support for a large and varied group of arts and educational organizations. The deeply committed Board of Directors faced the challenge of replacing their Director, who was retiring after a 24-year tenure during which the KIA had grown in community visibility and national stature. The new Director would need to be both an accomplished and knowledgeable art expert and have the administrative and interpersonal skills to run a complex institution with close ties to a diverse community and region. KIA’s operating budget is $3.5 million. ORI advertised the position widely and sent out a broadcast letter targeting senior professionals in the field. With intensive recruitment and generous recommendations from colleagues who knew and respected KIA, we were able to present the Search Committee with four highly qualified candidates. This Search Committee employed a rigorous interview process and in the end, the successful candidate was Belinda Tate. For 15 years, Belinda had been Director and Chief Curator of the Diggs Gallery at Winston‑Salem (NC) State University. The Diggs is one of the nation’s premiere African American art museums and under Belinda’s leadership had significantly grown its collection as well as student and community engagement. Belinda received her Bachelor of Arts degree from Yale University and did further studies at Yale in Conservation and Connoisseurship. She obtained her Master of Arts in Liberal Studies from Wake Forest University. Belinda began her tenure at KIA in September 2014.